The University of West Florida hosted its Fall 2016 Commencement today at the Pensacola Bay Center. 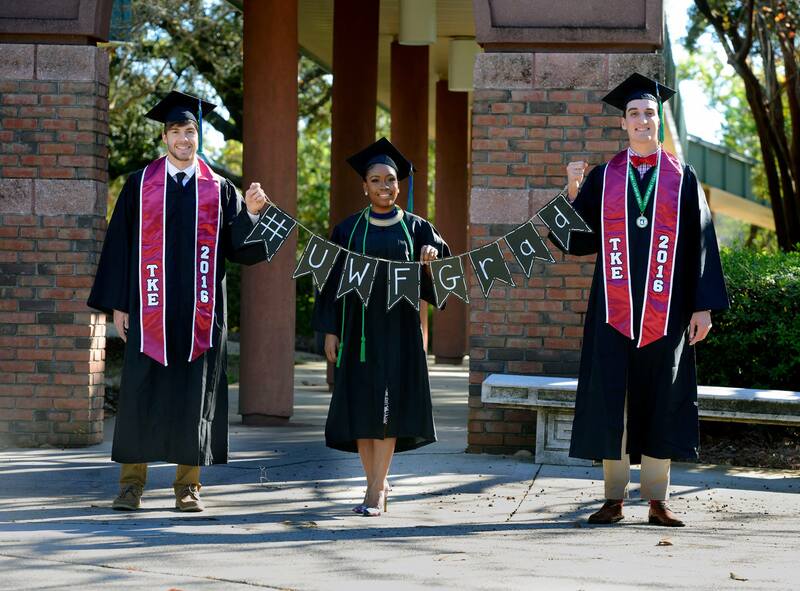 Addressing the graduates, UWF President Judy Bense noted the significance of Commencement ceremonies in marking a momentous milestone from college to career. 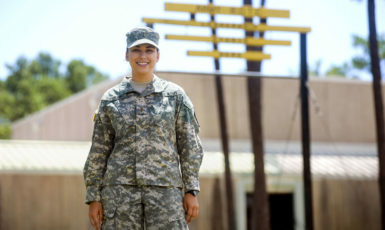 She emphasized the unique importance of this Commencement in her own life, as well. “Today, I’m preparing to celebrate a new beginning right alongside you, as I step down to take a year sabbatical before returning to the University as a faculty member once again,” said Bense. Additionally, during the morning ceremony, John Appleyard was recognized for his significant impact on the University and Northwest Florida. 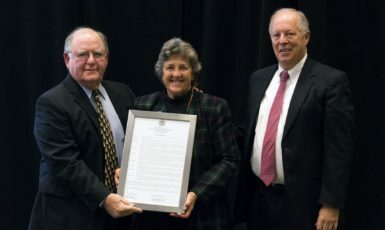 Appleyard, prominent author, historian and founder of the John Appleyard Agency Inc., was named an Honorary Doctor of Humane Letters in honor of his commitment to preserving the history of Pensacola and Northwest Florida. Appleyard and his wife, Eleanor, founded the Appleyard Agency in 1959, where he served as CEO until 1993. He also served as president and CEO of Healthcare Research & Development Institute from 1967-1992. Known as one of the region’s foremost storytellers, Appleyard has published more than 100 books, including histories of prominent local families, novels and nonfiction works detailing the area’s rich history, a series of more than 100 mysteries involving two 1900s-era Pensacola policemen, and the plays, “The Second Great Document” and “The Third Great Document,” among others. He has authored histories and produced films for local businesses, including Baptist Hospital, Pensacola Junior College, the Lewis Bear Company, the Escambia County Public School System and more. He and his clients were recipients of more than 100 Freedom Foundation medals and awards for patriotic presentations. His latest works include a series of reader-coloring books for 4th grade public school students. Appleyard has a longstanding history of community service in Northwest Florida, having served as president of the Downtown Rotary Club, Pensacola Junior College Foundation, and the Pensacola Historical Society, director of the LIONS Club, Junior Achievement Club and the Homebuilders Association of West Florida and more.